A family that gets adjusted together, grows together. We’ve all seen it…one family member experiences a “cold” or “flu”, and seems to pass it through the entire family. Or mom or dad get on a health-kick, and- before you know it- everyone is eating salad with dinner. Simply put- health is a family experience, where both our health challenges and healthiest efforts are shared with those we love the most. It is for this reason that we love treating families at Touch Chiropractic. 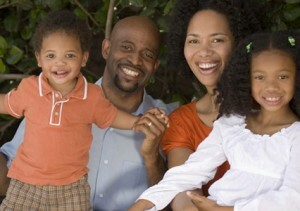 We know that better health is meant to be shared, as a communal experience, to uplift the whole family. And the earlier we can address health concerns and teach preventative wellness within a family, the greater their potential. We are so proud of our chiropractic families- many three-generations deep, and are honored to serve them. We know that, when Grampa’s lower back is feeling better, he is more able to take the little ones to the park. When Mom is less stressed, she can be more present for her family and less overwhelmed. And when our sons or daughters are happy, healthy, and active, the future is theirs for the taking. We adjust our daughters, Ruby and Olivia, regularly, and work to empower them to live active, joyful lives through our own example. We understand that our family’s health journey mirrors our own. Healthy habits are contagious, and are one of the greatest gifts we can give to our daughters, and to the families we serve each day. Call us to find out about special discounts for families in our practice, and begin to experience the benefits of a well-adjusted family today!